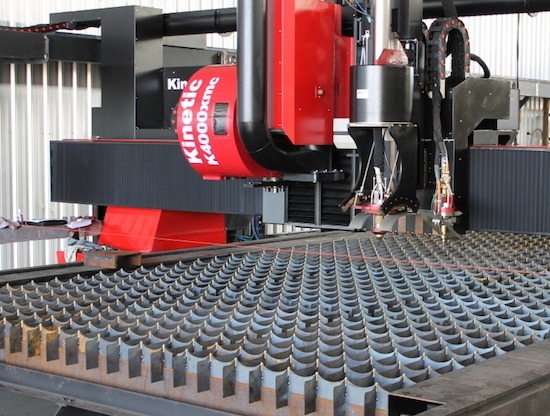 Kinetic is a leader in plasma cutting machinery. With precision cutting combined with CNC drilling, milling, tapping and milling, Kinetic equipment helps manufacturers save time and maximize efficiency. With today’s businesses looking for every opportunity to reduce cost and maximize output, Kinetic builds cutting equipment that directly impacts businesses’ bottom lines. Time studies show that eliminating the need to move a workpiece from machine to machine can save considerable time – in some cases increasing efficiency by over 90%. If you’re interested in learning more about Kinetic all-in-one plasma cutting, drilling and milling machines please contact us today. Our team looks forward to helping you specify the best Kinetic machine for your unique application.